Home | Blog | Combining Stamp Sets to STRETCH their use! Hi friends! Happy Tuesday! Please join me in welcoming back the super sweet, silly, and talented Laura Bassen to our blog as a guest for one of her bi-monthly features! Doesn’t this card just make you smile? 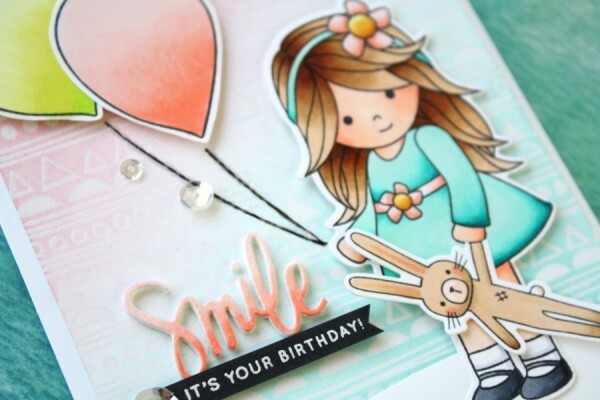 The sweet image of Melody holding the bunny from Abby’s Spring Showers, and the big balloons from the Birthday Bits stamp set, paired with a softly blended embossed resisted Doodle background show you that you really can mix up your stamps for a unique and adorable result! Be sure to watch the video, and enjoy! Thanks so much for reading, and thanks to Laura for this super sweet card idea! From: Combining Acrylic & Watercolor Painting: Amy Cooley! From: Framed Photo Collage with Idea-ology! : Carrie Sheridan! From: Weekender with Wanda – WPlus9 Happy Mail! : Linda Duensing! 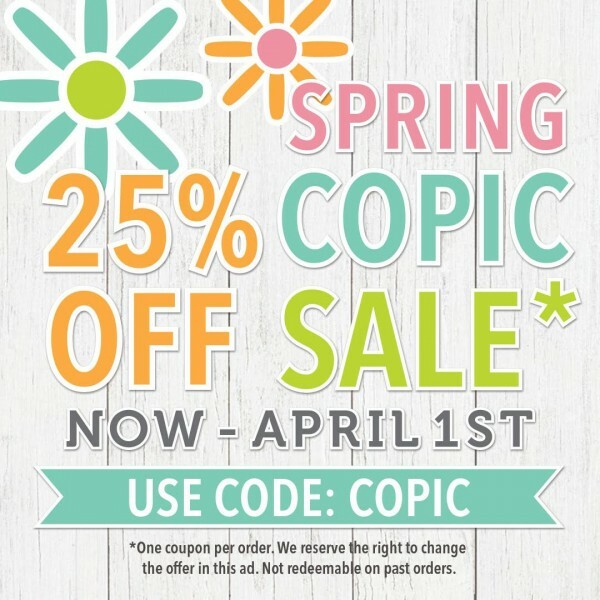 From: Have You Seen Our Latest Card Kit? : Beverly Jordan! From: Nature Inspired Card Making: Rachel Vass! From: Watercolor Backgrounds with Darkroom Door Stamps: Julie Milnes! From: New Monday Challenge: Food and Drink: Miriam Prantner! From: Die Stenciling with Yana Smakula: Neha Parab! Thanks for the video and tips! Cute card!! Adorable birthday card from adorable Laura! LOVE. This card is something else. It is so soft with lovely colors and very beautiful. Wonderful card. Thanks for sharing. Great soft colours! And beautiful mix of stamps! I love Laura’s videos! This card is so cute! This is such a sweet card! I love the combination of all the stamps from the different kits, especially pulled together with that background! Great job Laura! TFS. Melody is just as cute as Laura! She makes awesome cards and videos, too. So cute! Love how you were able to make so many different sets go together! So girly and colorful card. Thanks for sharing. What an adorable card! 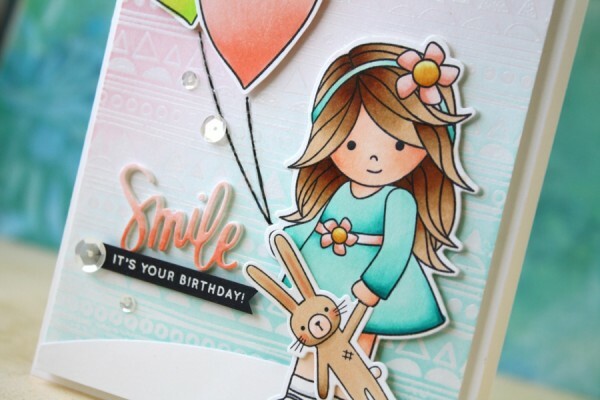 Another fun video and some great ideas on how to combine stamp sets for a new look! Lovely idea! Loved the card! Sweet card. Have a BEE-utiful day! So cute! Absolutely gorgeous coloring! Fabulous ideas and thanks for choosing me for blog candy!